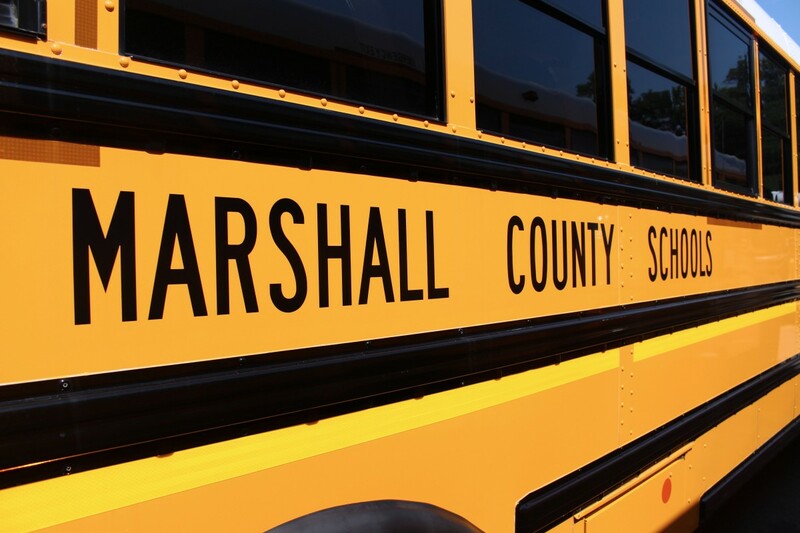 Marshall County Board of Education members and county administrators recognized Service Personnel and Teacher of the Year candidates during the regular board meeting on Tuesday evening. Each year service personnel, teachers and administrators vote a faculty and staff member to represent their school as a county contender. 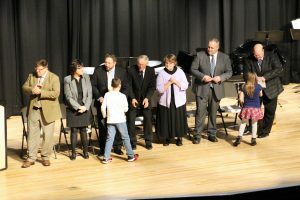 Then a committee, consisting of county office officials and previous award recipients, conduct interviews and choose the county winners. Cameron Elementary School Kindergarten Aide Sherry Reid was named Service Personnel Member of the Year for Marshall County Schools. 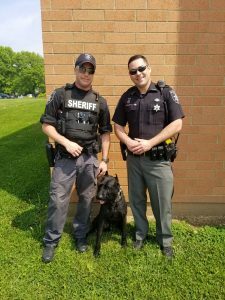 Reid has been employed as an aide in Marshall County Schools for 12 years. 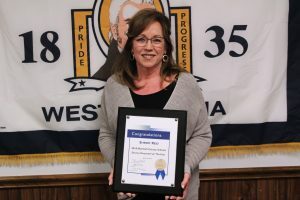 Joy VanScyoc, an Art teacher at Moundsville Middle School, was awarded with 2019 Marshall County Schools Teacher of the Year. She also instructs a Project Lead the Way class in Design and Modeling. VanScyoc created a new chapter of the Technology Student Association (TSA) at the middle school that focuses on completing challenges and competing in various areas of science, technology engineering, art and math. Service Personnel Member of the Year Nominees included: Jerry Gump (Bus Garage), Sherry Reid (Cameron Elementary School), Patty Smith (Cameron High School), Karen Yoders (Center McMechen Elementary School), Jill Schwing (Central Elementary School), Bill Wiseman (Glen Dale Elementary School), Rick Young (Hilltop Elementary School), Julie Anderson (John Marshall High School), Matt Thomas (Maintenance), Erin Holmes (McNinch Primary School), Leanne Dobbs (Moundsville Middle School), Nicole Stocklask (Sand Hill Elementary School), Corinne Snider (Sherrard Middle School) and Becky Orndorff (Washington Lands Elementary School). 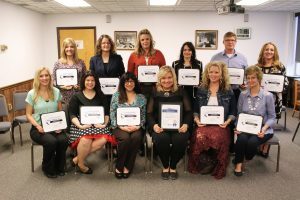 Other Teacher of the Year nominees at each school included: Andrea Magers (Cameron Elementary School), Whitney Healy (Cameron High School), Roseann Haynes (Center McMechen Elementary School), Tonya Lehman (Central Elementary School), Sally Mull (Glen Dale Elementary School), Lori McLaughlin (Hilltop Elementary School), Kallie Kastrevec (John Marshall High School), Carla Whitlatch (John Marshall High School), Shay Ryan (McNinch Primary School), Stacy Hooper (Sand Hill Elementary School), Michael Murphy (Sherrard Middle School) and Julie Sturgill (Washington Lands Elementary School). 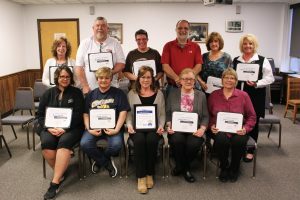 All Service Personnel of the Year and Teacher of the Year nominees were presented with a certificate for being chosen as designees at their respective district locations. Service Personnel Member of the Year Nominees are pictured from left. Front row: Jerry Gump, Patty Smith, Sherry Reid (Service Personnel of the Year), Karen Yoders and Jill Schwing. Back row: Cathy Bartlett, Bill Wiseman, Julie Anderson, Matt Thomas, Erin Holmes, and Becky Orndorff. Teacher of the Year nominees are pictured from left. Front row: Andrea Magers, Whitney Healy, Roseann Haynes, Joy VanScyoc (Teacher of the Year), Tonya Lehman and Sally Mull. Back row: Lori McLaughlin, Kallie Kastrevec, Shay Ryan, Stacy Hooper, Michael Murphy and Julie Sturgill. 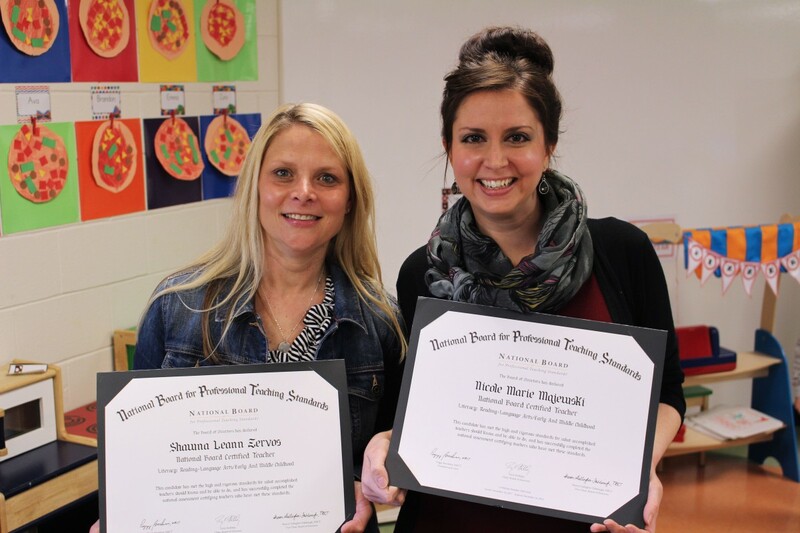 From left: McNinch Primary teachers Shawna Zervos and Nicole Majewski have earned National Board Certification in Early Childhood Literacy. 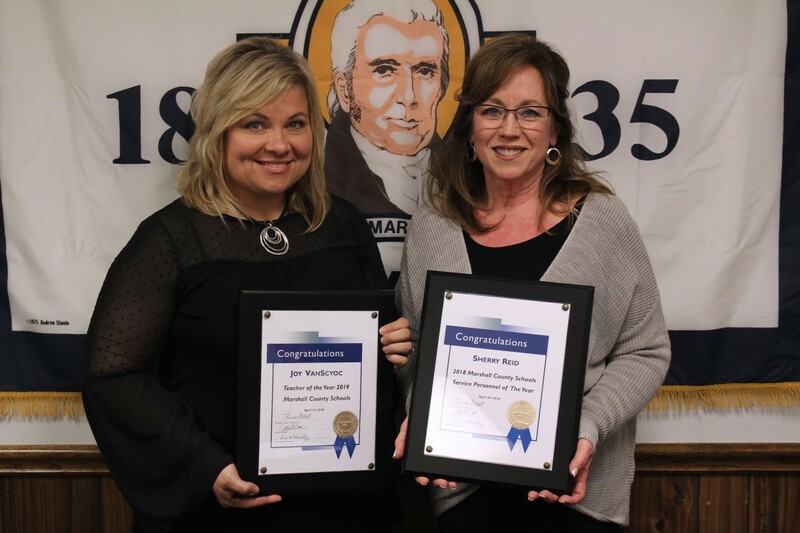 McNinch Primary School 1st grade teacher Nicole Majewski and Pre-K teacher Shawna Zervos were recently recognized as accomplished educators by the National Board for Professional Teaching Standards. 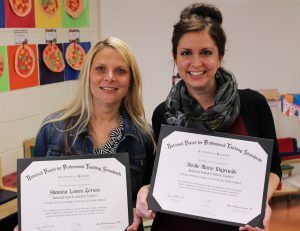 Each earned the distinction of National Board Certification in Early Childhood Literacy. The designation is the most respected professional certification available in K-12 education. To be considered for the national certification a candidate must have a bachelor’s degree, valid state teaching license and three years of classroom experience. 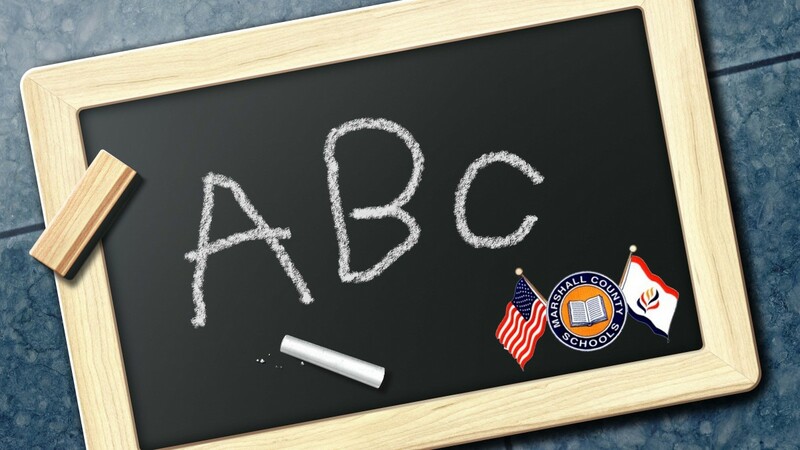 Each teacher must also meet score requirements on a written test, portfolio and classroom performance in order to achieve National Board Certification. 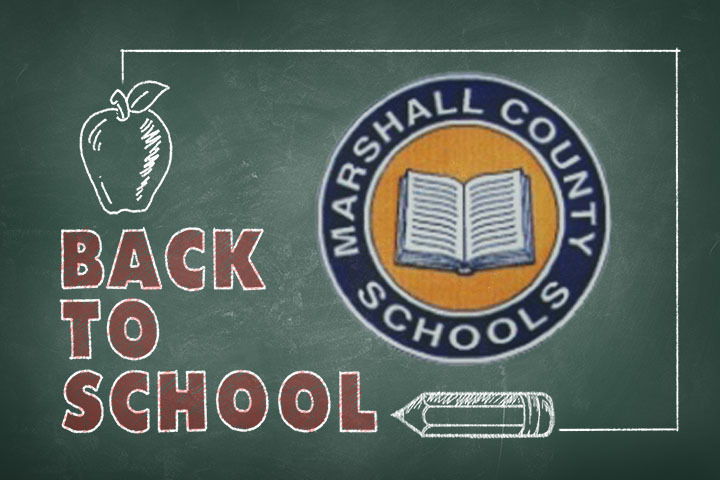 Majewski has been teaching in Marshall County for 8 ½ years. 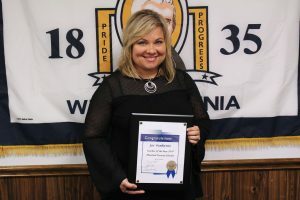 She holds a bachelor’s degree in Early Childhood/Elementary Education and is in the process of earning a master’s degree from West Virginia University in Reading and Literacy Leadership. 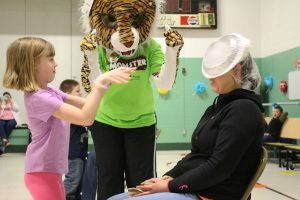 From left: McNinch Primary 2nd grader Ashely McCulley throws a pie at her teacher, Laken Whitlatch, as the school mascot cheers in the background. Jumping rope does wonders for your heart. It can also do wonders for raising life-saving funds for the American Heart Association. 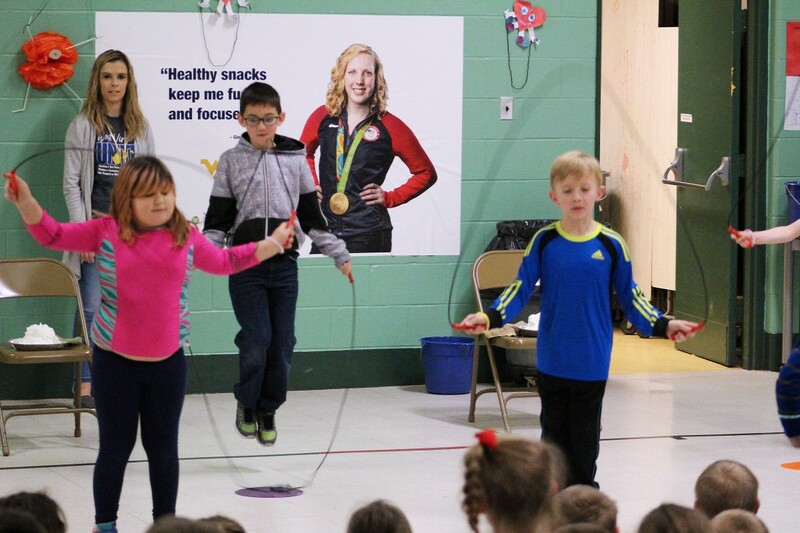 As a Jump Rope For Heart school, the students at McNinch Primary and their coordinator Ashley Doty hosted a special event to help the American Heart Association’s mission to fight the #1 and #5 killers of Americans – heart disease and stroke. Around 500 students participated in the campaign. 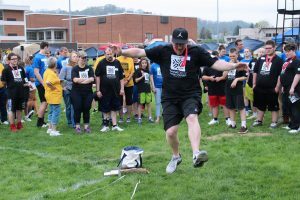 McNinch Primary raised almost $4,000 for the American Heart Association’s mission in West Virginia. The students celebrated their fundraising efforts with an assembly. Teachers were hit with pies by students who raised the most money. From left: McNinch Primary Pre-K students Nate Yager, Emma Schultz and Ava Benline make Valentine’s cards for Veterans. 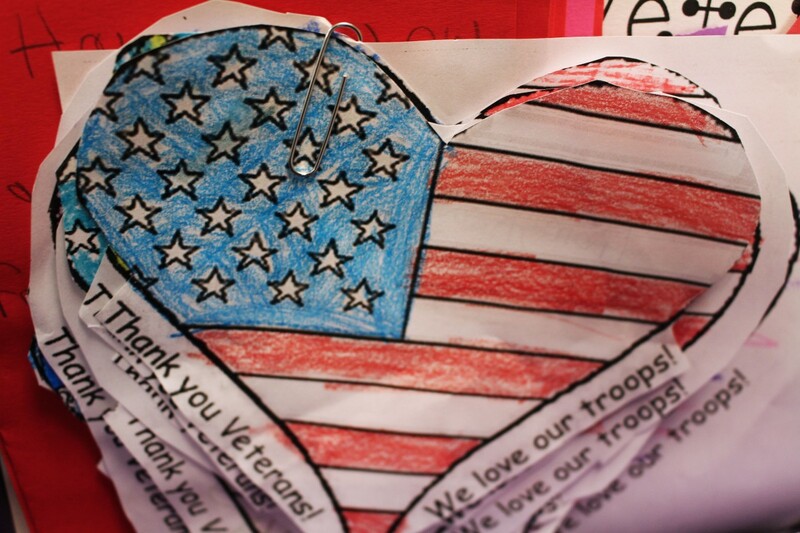 McNinch Primary School students showed their appreciation for the sacrifices and achievements of United States Veterans by making them Valentine’s Day cards. 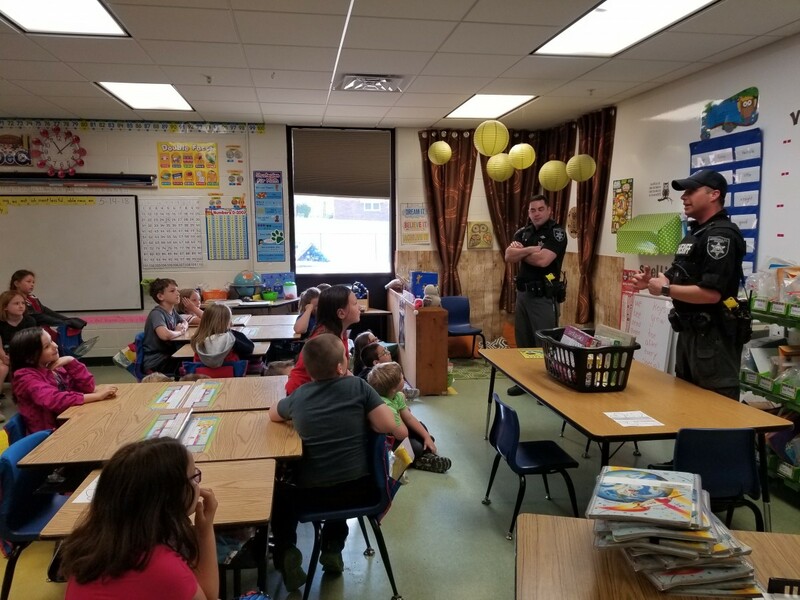 At the request of McNinch Primary Pre-K teacher Shawna Zervos, each student in the school created a personal hand-crafted card which included a special message designed to put a smile on a Veteran’s face on Valentine’s Day. The cards will be given to more than 200 local Veterans through Helping Heroes Inc. in Moundsville. Valentines for Veterans is a program that began in 1989 at the request of the late advice columnist Ann Landers. She encouraged her readers to take time to honor our nation’s Veterans through the creation and distribution of cards on Valentine’s Day. 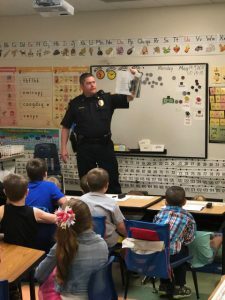 Teachers at McNinch Primary School are committed to continuing the annual program, along with teaching students the importance of showing gratitude to Veterans throughout the year. 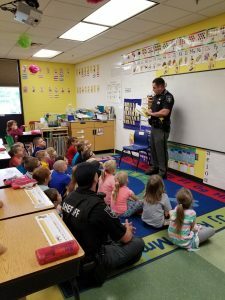 This experience was also designed to encourage students to give back to their community.